REMOVABLE DURABLE BATTERY: 36V 12Ah large capacity lithium battery, supports the mileage up to 24 mile(pure electric mode)- 34 mile(PAS mode) per charge. 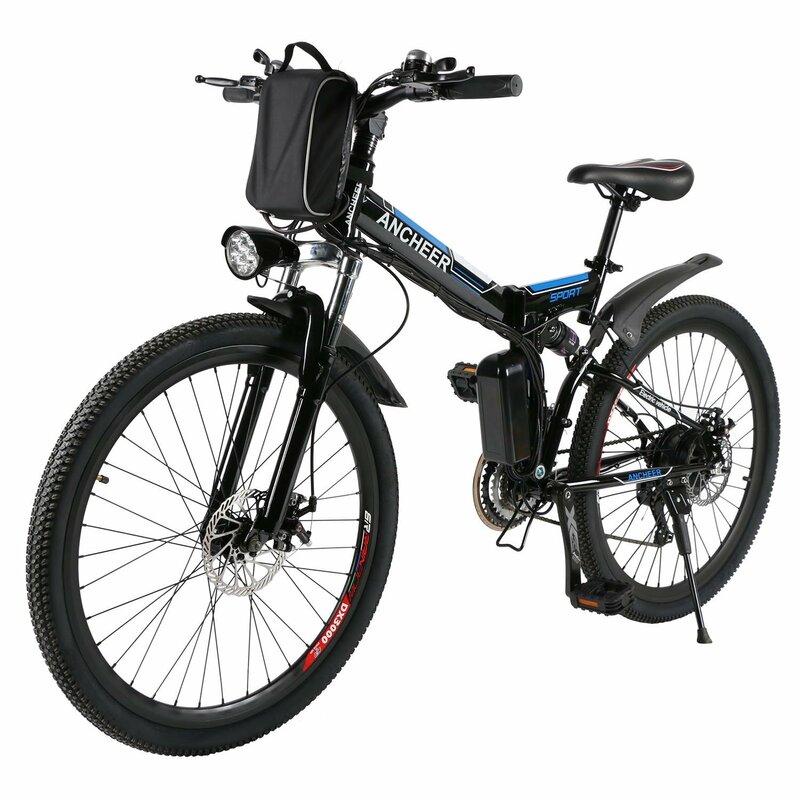 Equipped with smart lithium battery charger for charging and removable battery allows you to charge the e-bike expediently. 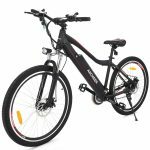 BRAKE & MOTOR SYSTEM: The ebike adopt 250w high speed brushless rear motor, provide you strong driving forces and you can ride up to the max speed: 30km/h 18mph. Mechanical front and rear disc-brake, fully protect your safety while you enjoy the high speed ridding time. 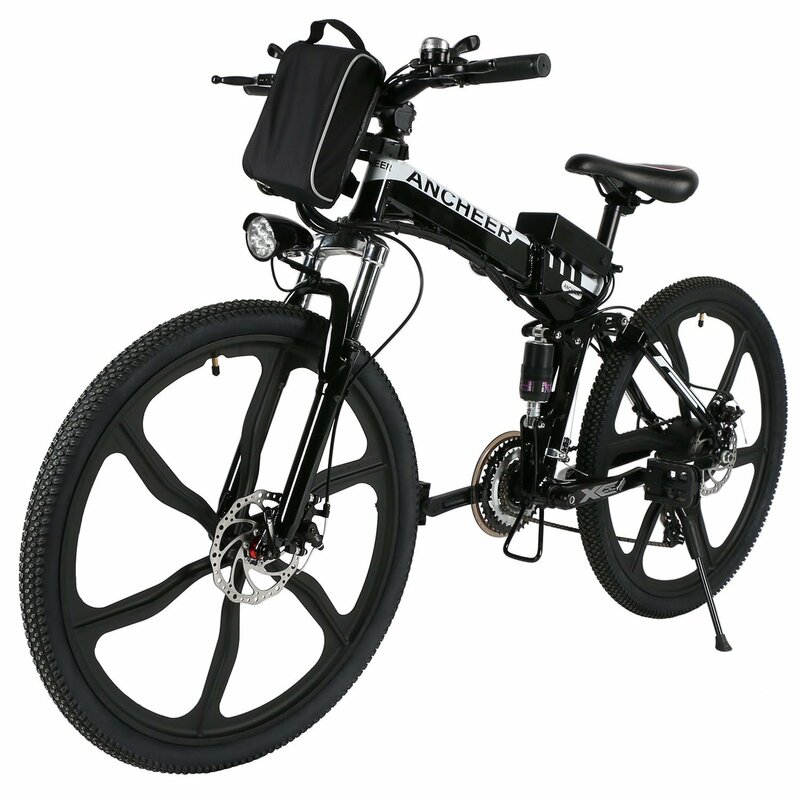 NEWEST DESIGN COMPONENTS: Brief but not dull design, the e-bike adopted with semi-concealed battery, 26 inch bead spoke wheels and innovative 6061 aluminum alloy frame together with the anti-slip wear resistant thick tire, 21-speed Shimano gear system. You can use it as a mountain bike or a road bike. 2 WORKING MODE: E-bike & Assisted bicycle. You can choose the e-bike to enjoy a long time travel without pedaling, and also you can choose the PAS mode, meter has high middle and low 3-level optional. You can choose any mode to enjoy your ridding time. 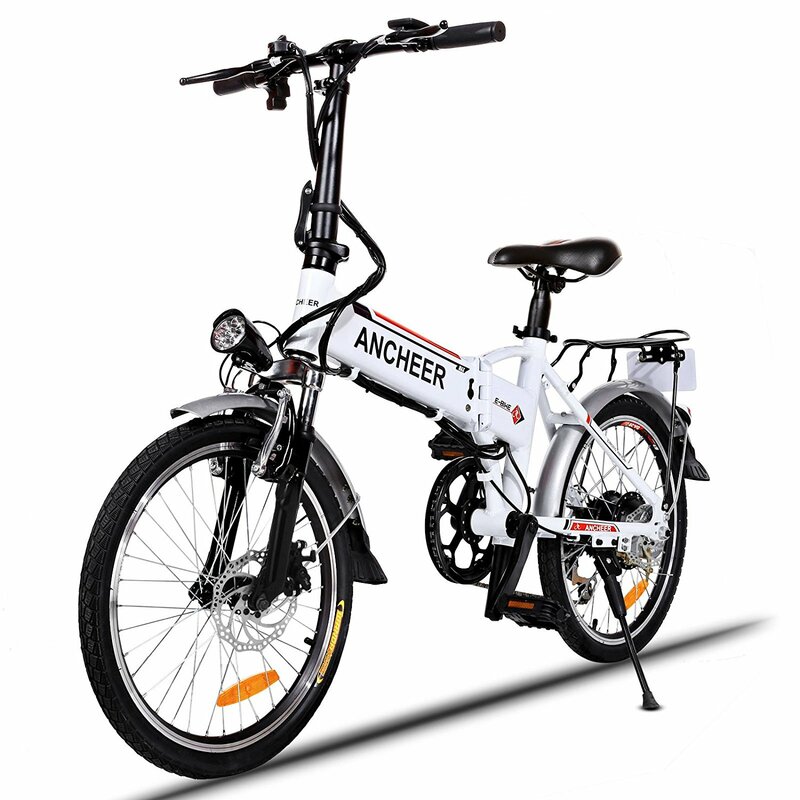 ANCHEER Mountain E Bike is the long-distance champion in its class, Concise and classic matte black streamlined frame design. 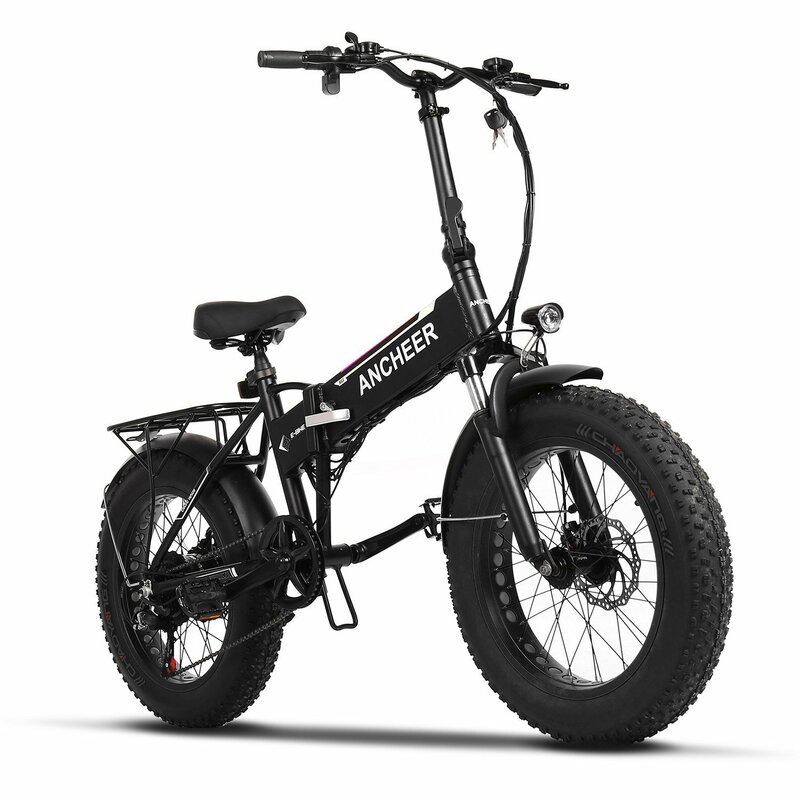 A unique combination of 30KM/18mph top speed, off-rode capability with quiet motor operation that’s suited to both urban and trail environnments. The aluminum alloy frame, strong brakes and a 21-speed Shimano gear system offer all the qualities of a premium mountain bike with the added feature of three pedal assist modes. You can have it as a mountain bike or road bike, use it go for an outing on the weekends with your friends and family or as a vehicle for work. It will be your favorite bike you have ever owned. 1. Press the switch button for 2 seconds to turn on/off. The default value is level “Low”. 2. Press “MODE” button to increase pedal assist level from “Low” to“ Mid” and “High”. Level “High” is the maximum power of PAS, which will bring you faster speed while pedaling. 3. Press“ MODE” button to decrease pedal assist level from “High” to “Mid” and “Low”. 4. Press “MODE” button till all the three pedal assist level indicators are off to enter into pure electric mode: Just enjoy your ride by simply twisting the throttle. 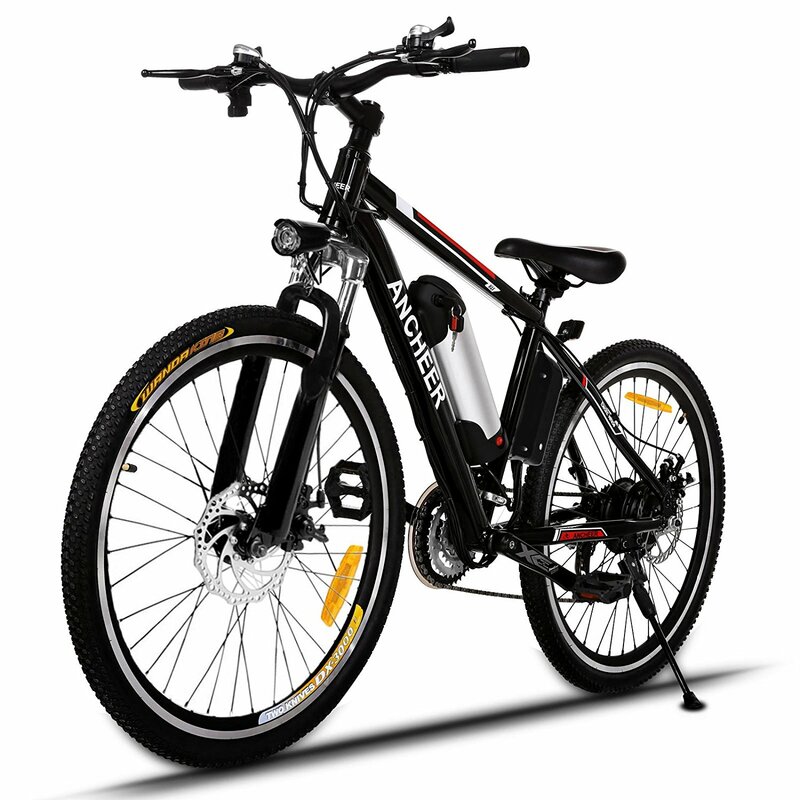 The electric mountain bike adopts the latest mountain bike frame design. Concise and classic matte black, introverted and yet grace, full of streamlined beauty, lightweight but strong aluminum alloy material, You can easily lift and storage it. Fast speed and lightweight body, the bike will bring you a relaxing ridding time. The new upgraded rechargeable removable 36V, 12AH lithium battery can be charged on or off the frame. 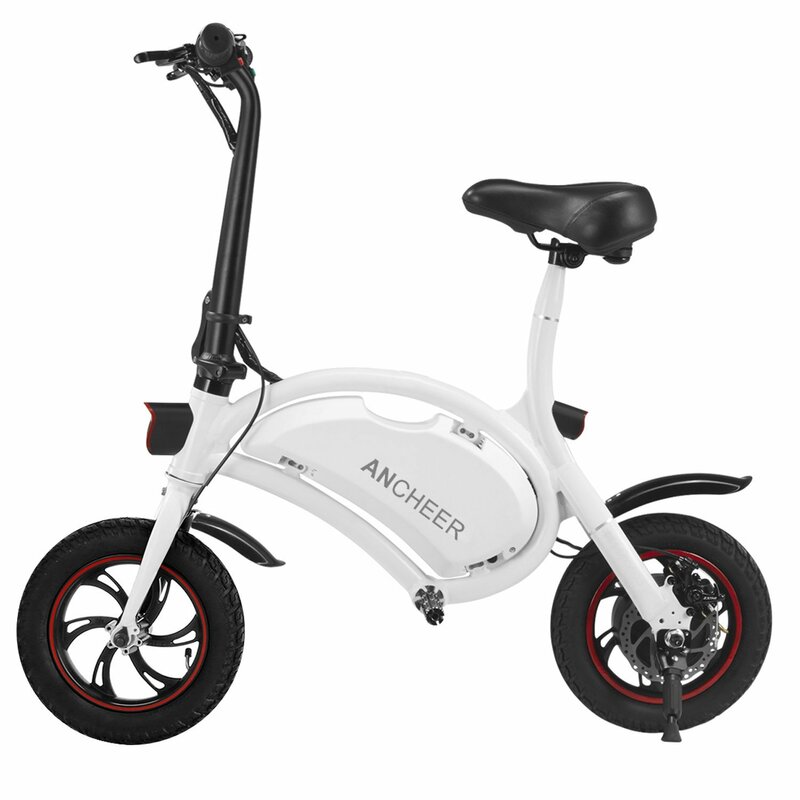 Equipped with balance battery charger, a full charge (4 – 6 hours), which can help you reach approximately 24mile-34mile on normal terrain. This bike equipped with 21-speed Shimano gear system for easier inclines and a quick release front wheel for transportation and storage, so you can choose any speed to complete your journey, and the perfect brakes can fully protect your safety. Electric bikes are the future, it is a amazing tranportation solution for forward thinking, green minded people who also want to enjoy the journey. And Ancheer bikes is at the forefront! Get a few friends together enjoy your ride, and enjoy time with your friends! Bought this bike for my wife and she loves it. She’s put on 95 miles and has had nothing but positive things to say about it. I think she only uses the power when going up hills and out of intersections and pedals the rest of the time.